Looking for a special gift for Mother’s Day.Here are some gorgeous pink gift ideas I found which would make your Mum smile on Mother’s Day. 1. 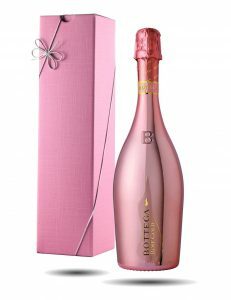 Bottega Rose Gold Metallic ,sparkling wine & pink gift box. How fabulous to receive, this Bottega Rose Gold a pure Pinot Noir sparkling wine,presented in a luxurious pink metallic bottle.A perfect gift to give someone, who loves everything pink. 2. Mother’s Day Bouquet In A White Painted Basket. 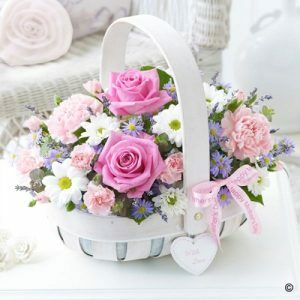 Give this special gift of fragrance, with this lovely floral bouquet, full of pink roses,carnations,white daisies, purple aster flowers and lavender.Displayed in a pretty white painted wooden basket with pink ribbon and a wooden white heart. 3.Emma Bridgewater Wallflower Retro Mini DAB+ Bluetooth Wireless Radio by V Q. 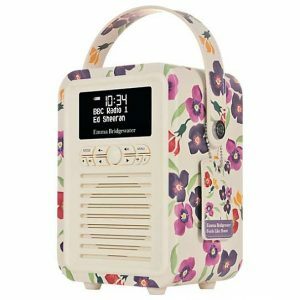 A truely charming, stylish retro mini wireless radio,in a beautiful pretty floral wallflower design, with all the latest modern functions.A perfect gift to give on Mother’s Day. 4.Rose Magnetic Kitchen Timer By Legami Milano. 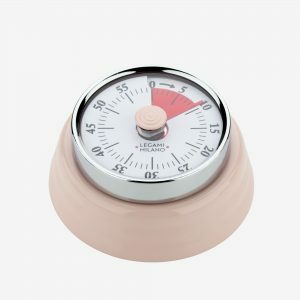 A beautifully made magnetic kitchen alarm ,with timer in rose pink enamelled steel.Simply twist the dial ,one full turn,then back again to the required time.A useful little helper in the kitchen when cooking.An original and precious little gift to give. 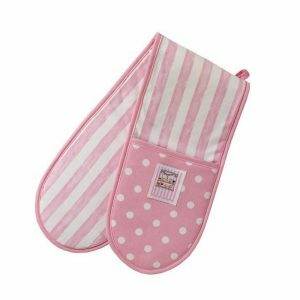 5.Emily Double Oven Glove- in a pink spot and stripe design by The British Textile Co. In pretty soft shades of pink and white,this insulated double oven glove, made from 100 percent cotton, in pink and white stripes,spot contrast panels and pink trim loops,would give perfect protection safely from oven heat. 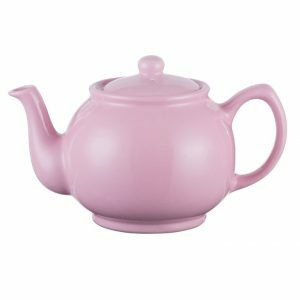 6.Price & Kensington 6 cup teapot in pastel pink. Time for a cup of tea.A pastel pink 6 cup teapot,crafted in the finest stoneware,perfect for retaining heat and is microwave and dishwasher safe.A thoughtful gift for Mother’s Day.